"Lake Garda Trekking is a really fun way to enjoy the surrounding area"
Lake Garda Trekking is growing in demand all the time. More riding schools are now being run and there are now around 20 or so found all around the Lake. 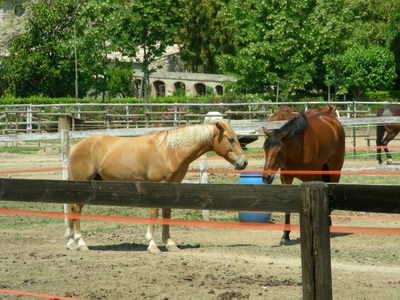 Given the wonderful surroundings and the increasing popularity of horse riding, it is not hard to see why this is really taking off around Lake Garda. There are many different places you can start off from. This will depend on your level of experience and the type of terrain you can do trekking on. Trekking in the south is generally more leisurely and easier with the flatter landscape and wider paths. Up in the mountainous north though, things can get a whole lot more challenging! If you feel like a more advanced ride, then going up in the hills and mountains at the north end of the lake means you will have superb views to enjoy while you ride. With the warm weather and lovely trees and plants all around, trekking around Lake Garda really is very pleasant.